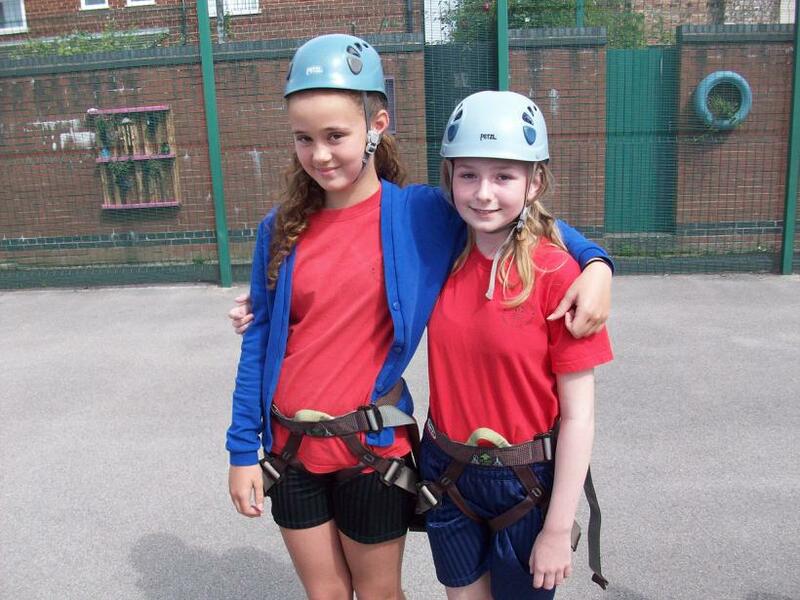 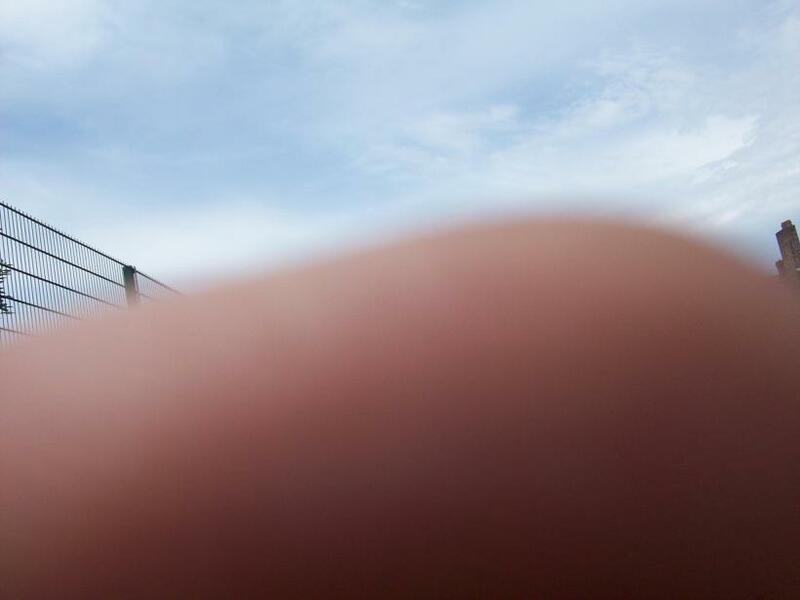 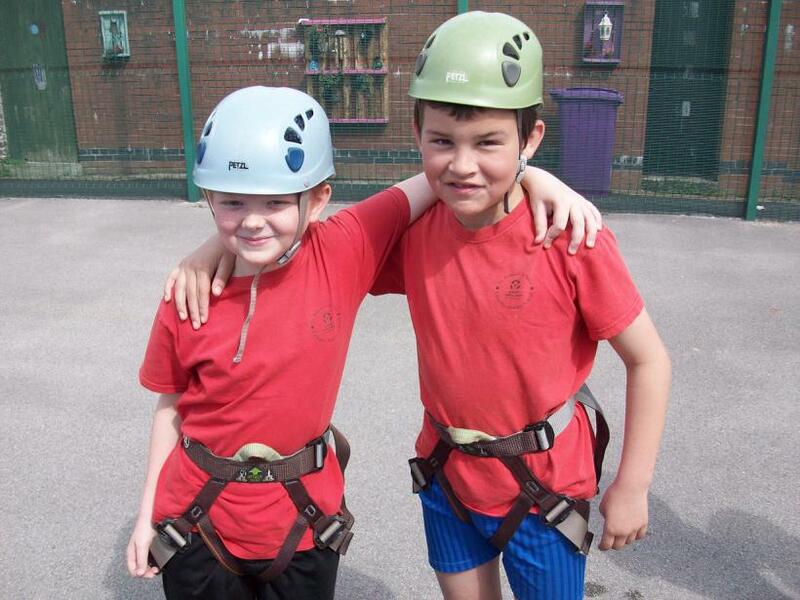 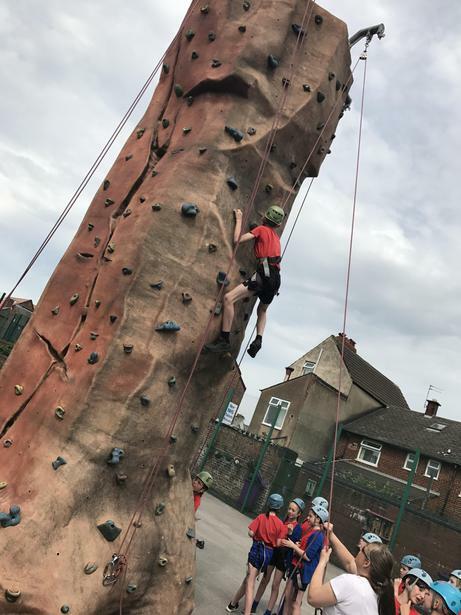 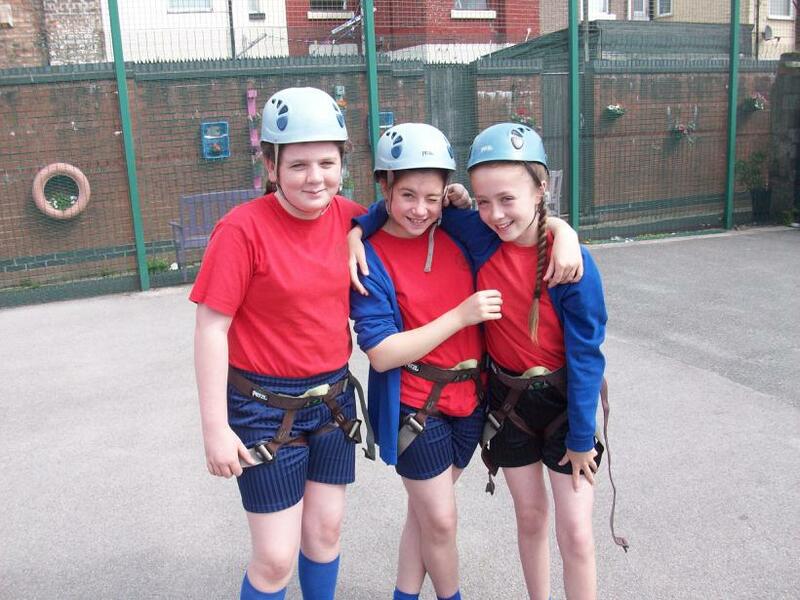 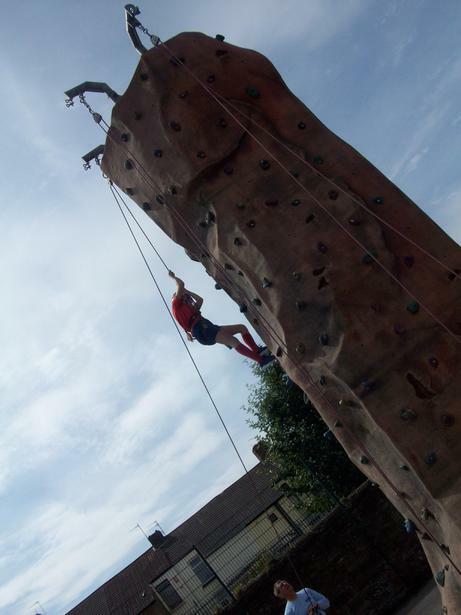 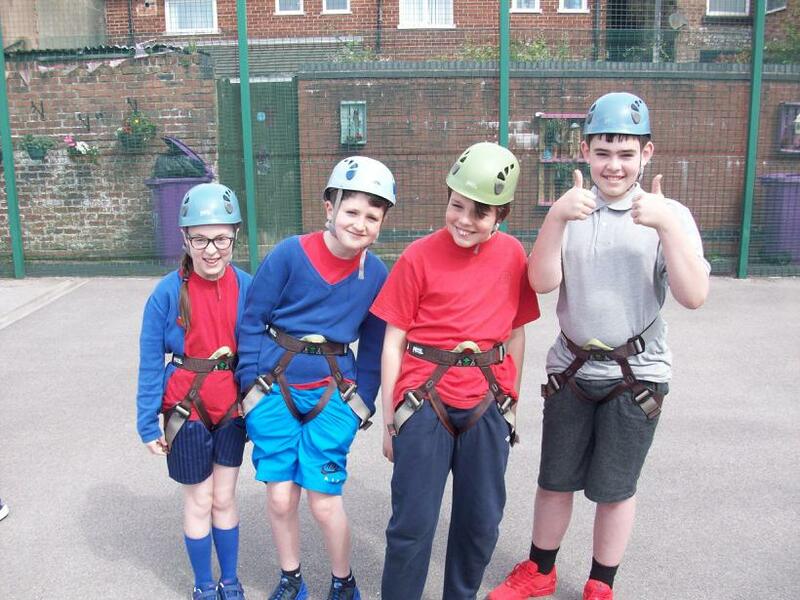 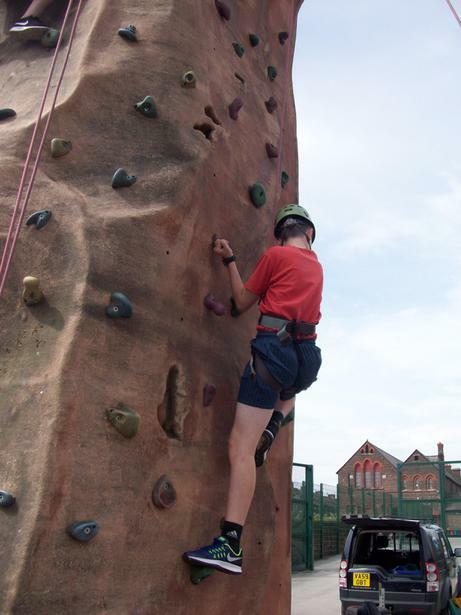 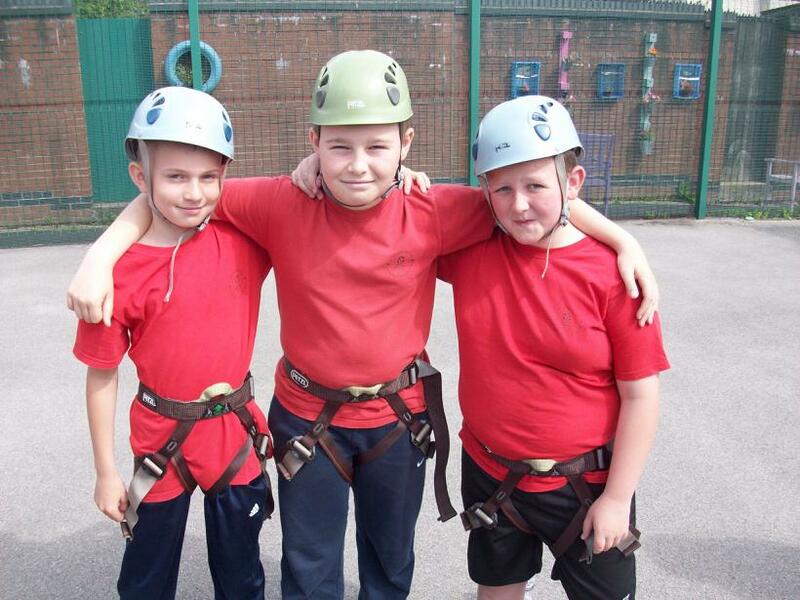 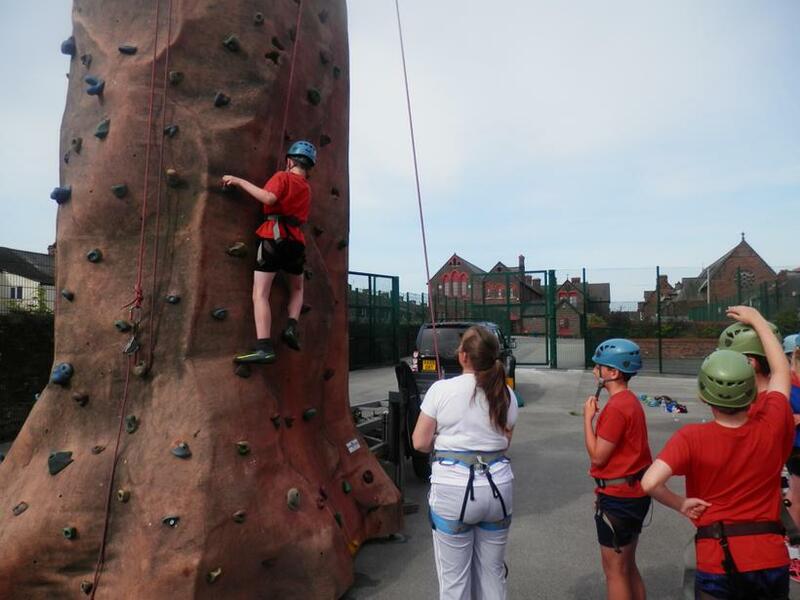 This week, Year 6 have been lucky enough to take part in a climbing walls experience this week… right here on our yard! 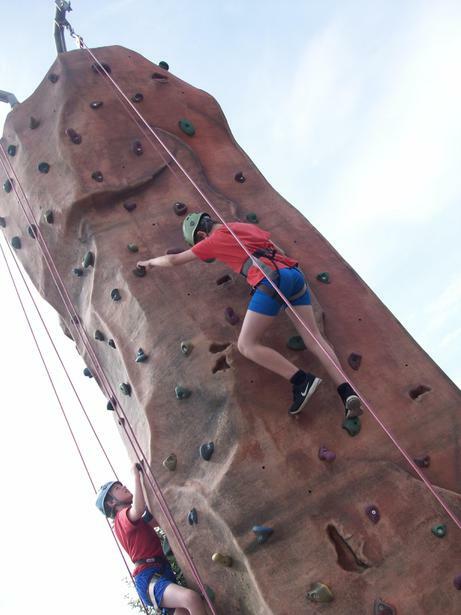 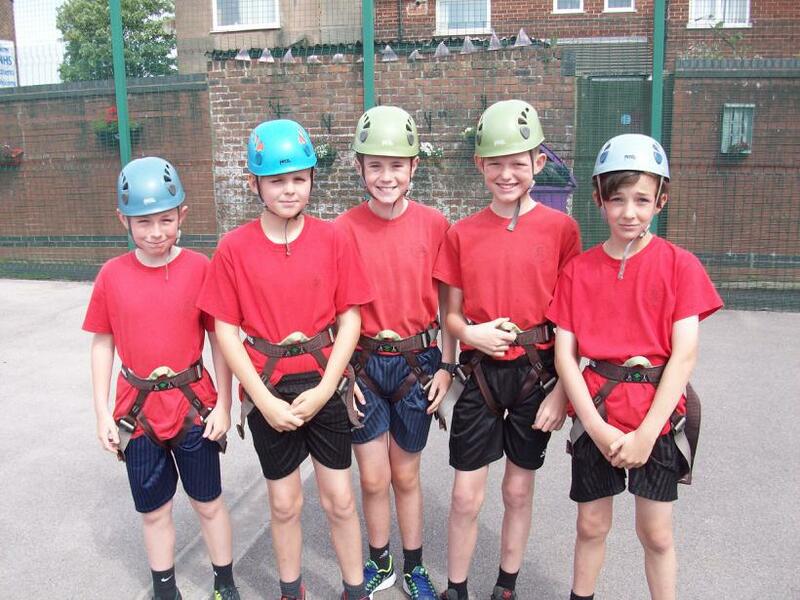 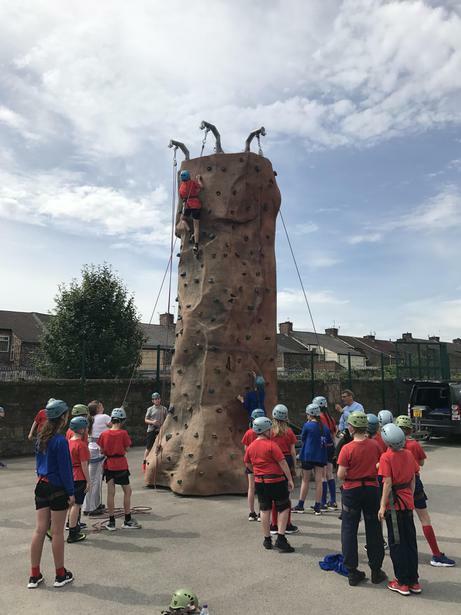 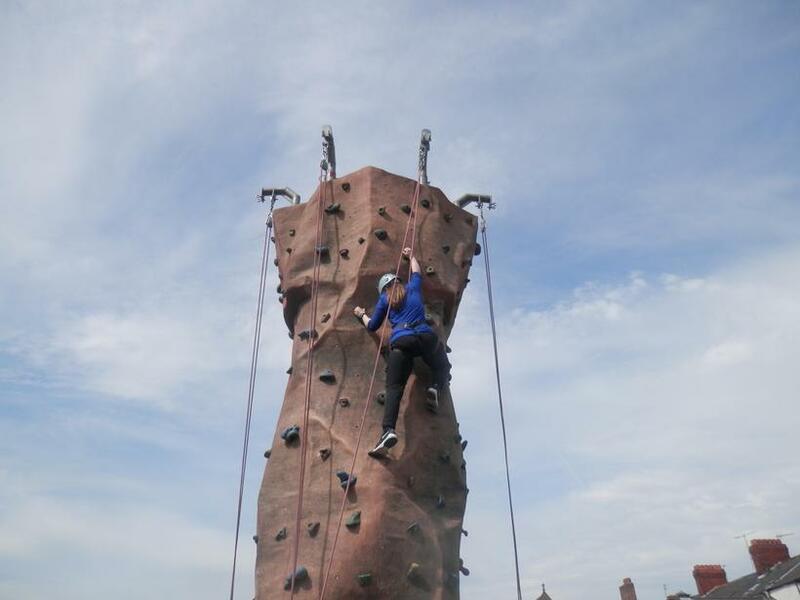 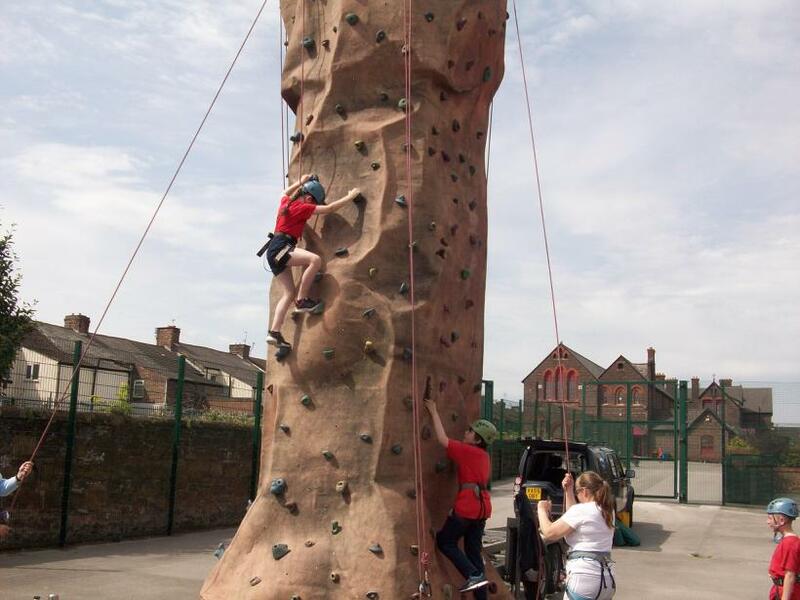 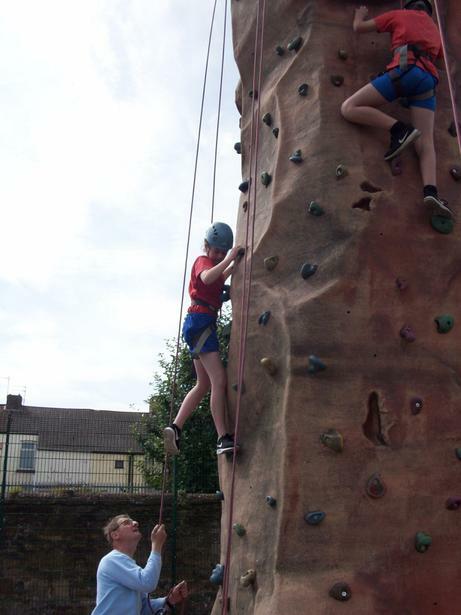 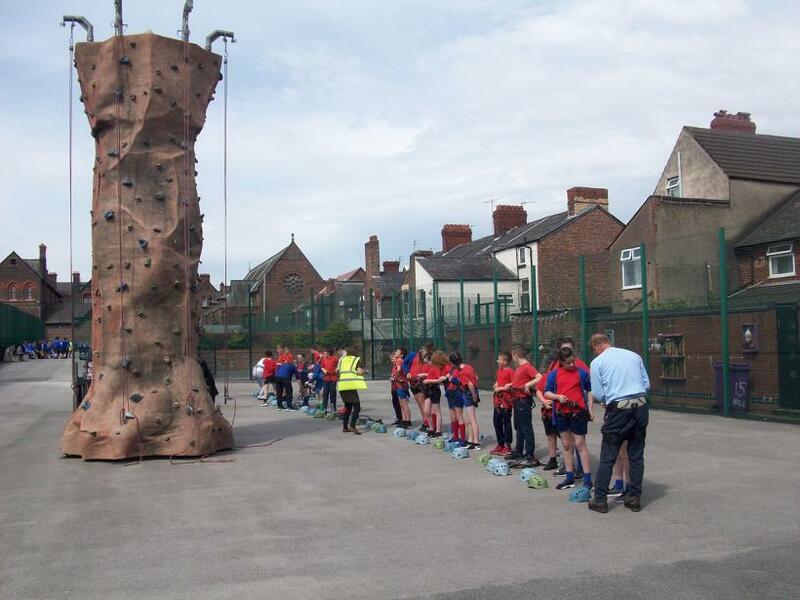 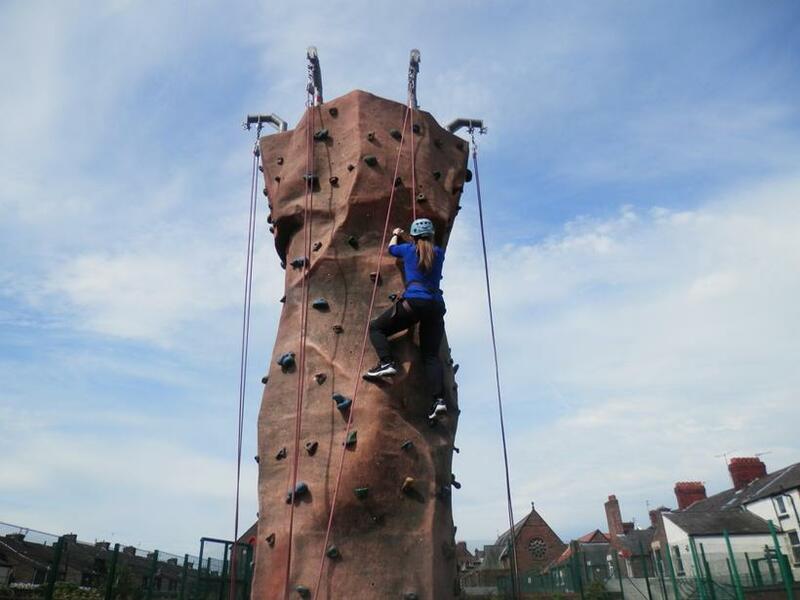 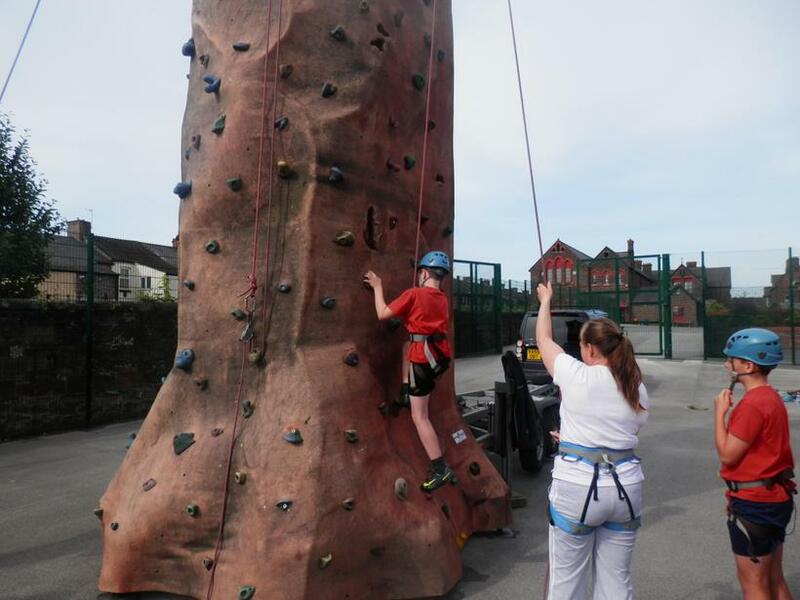 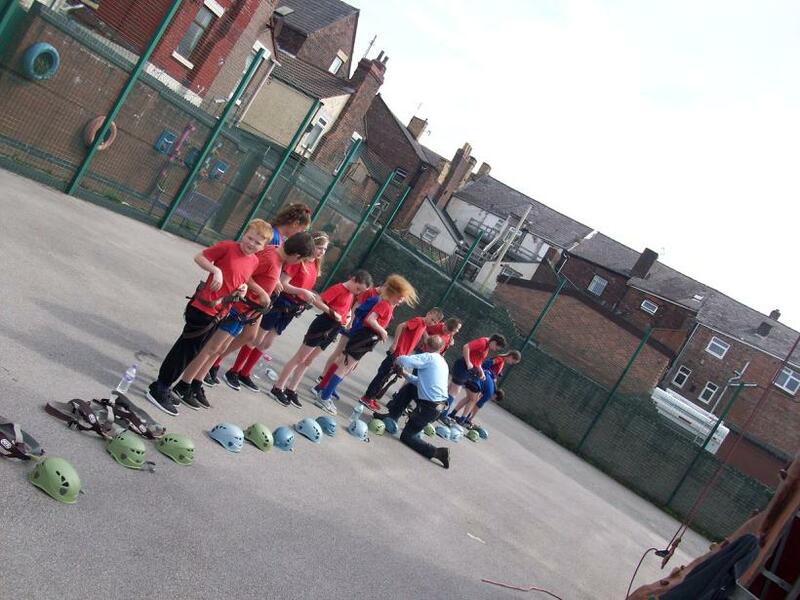 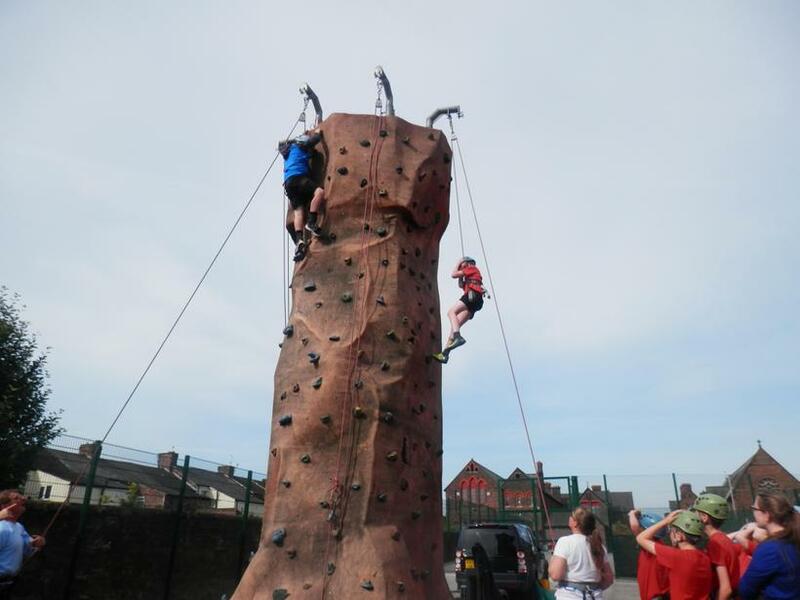 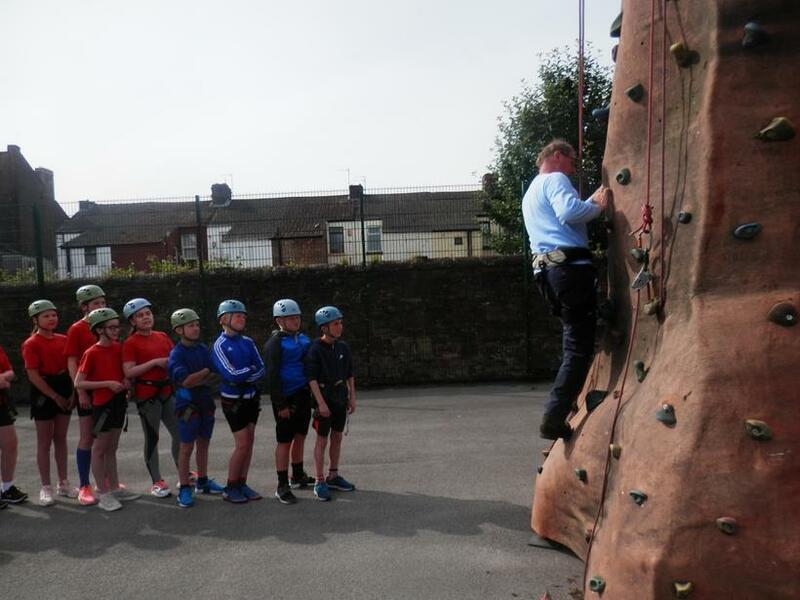 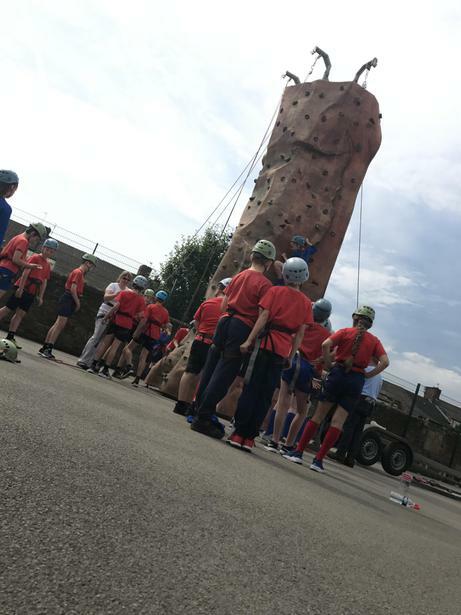 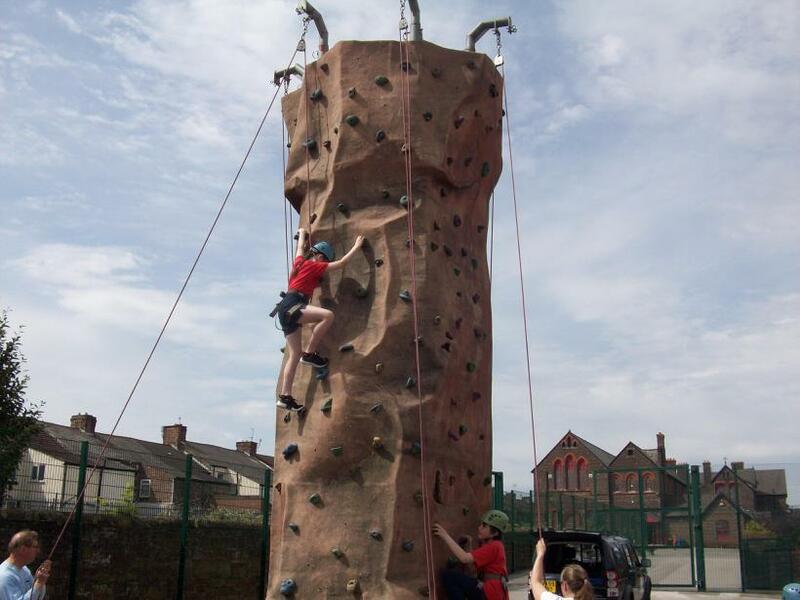 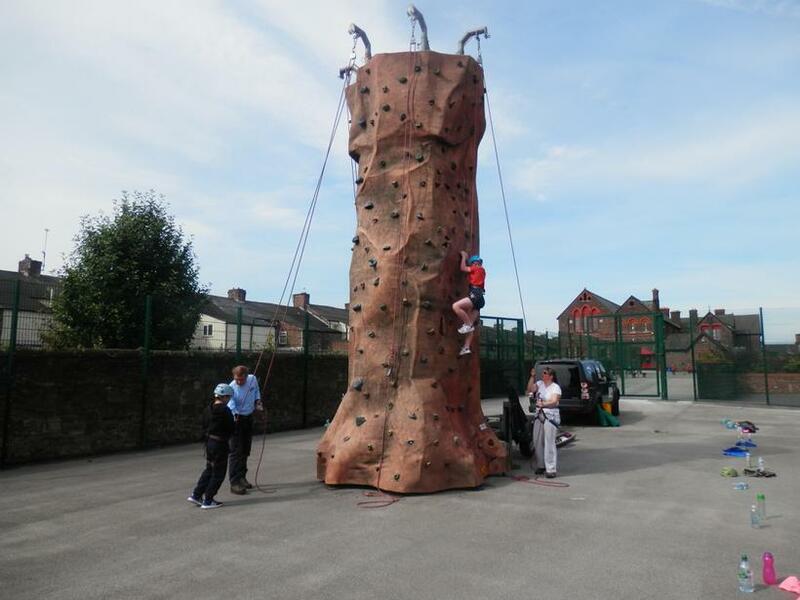 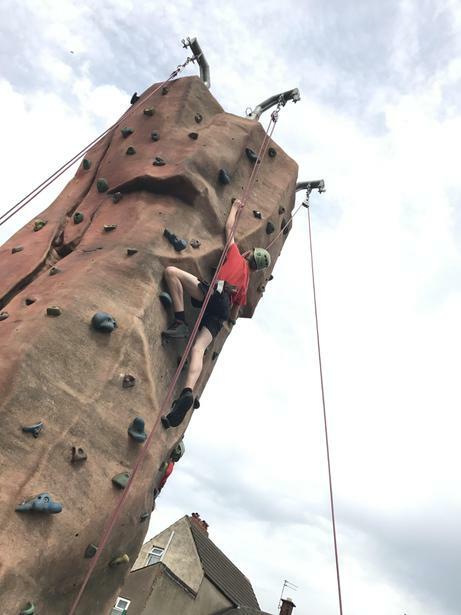 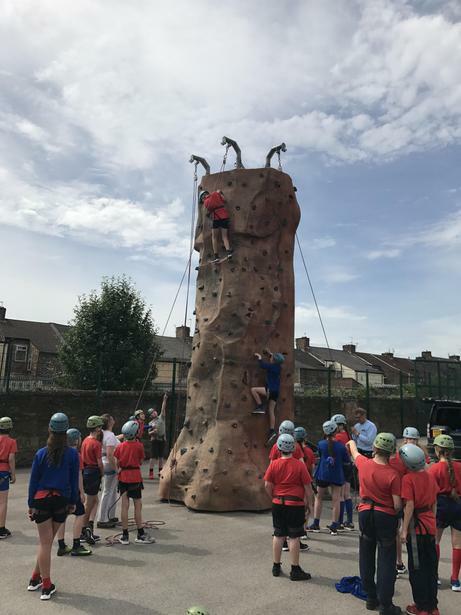 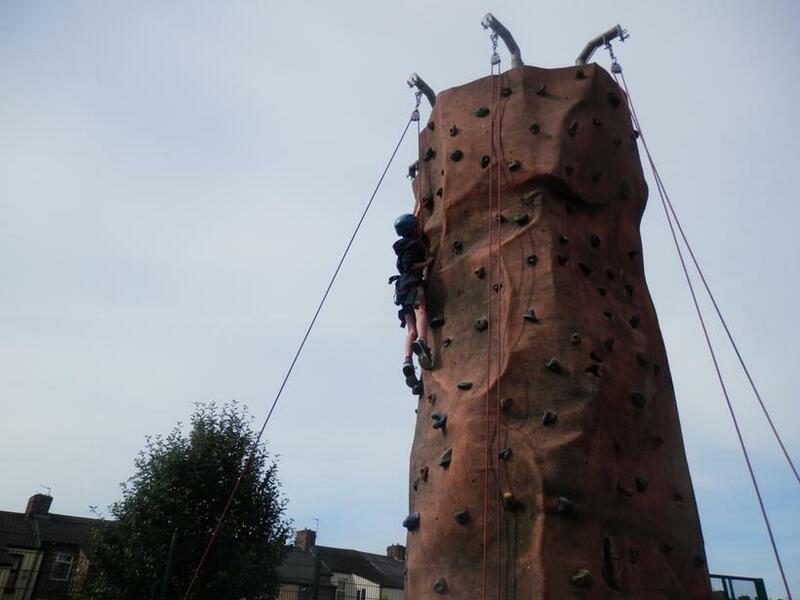 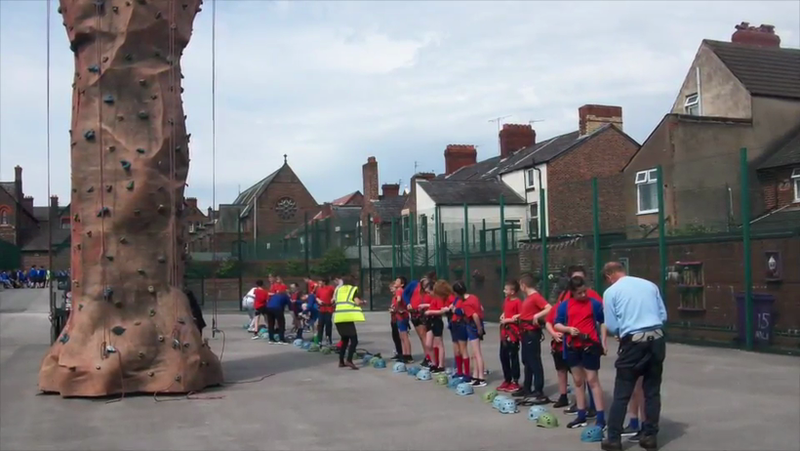 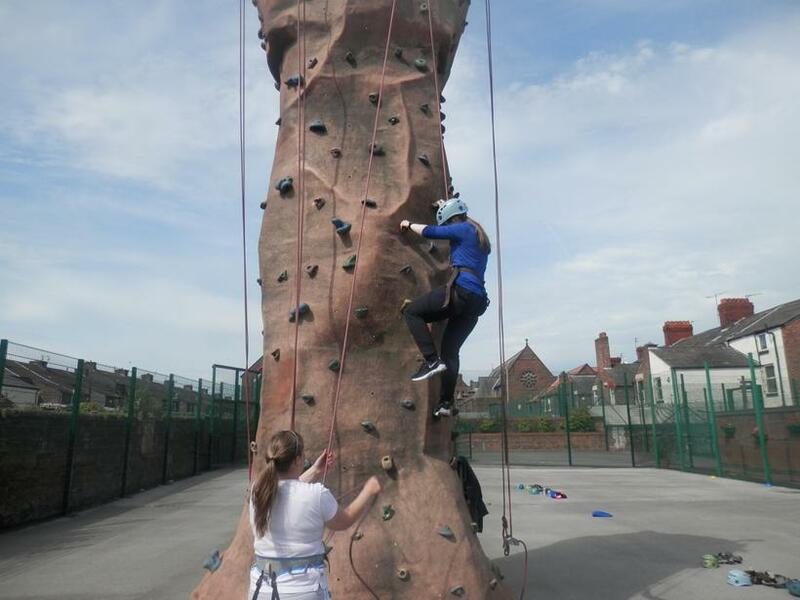 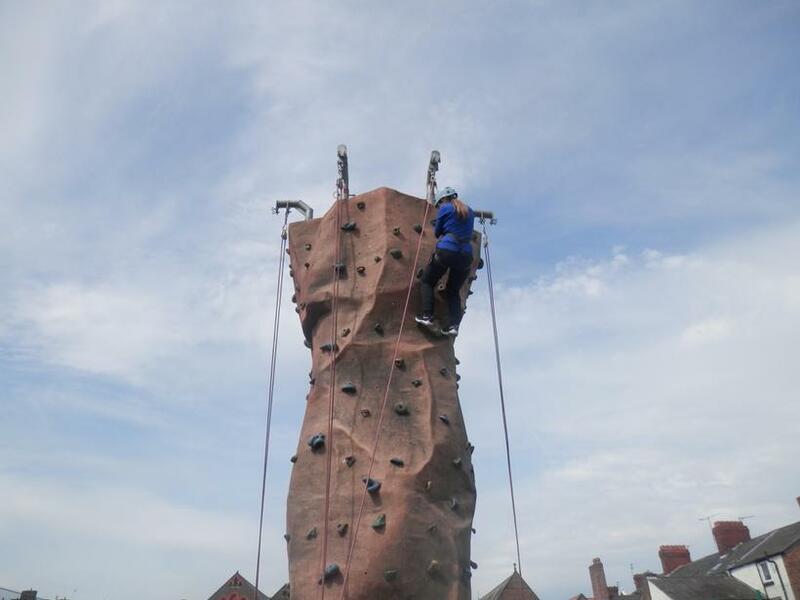 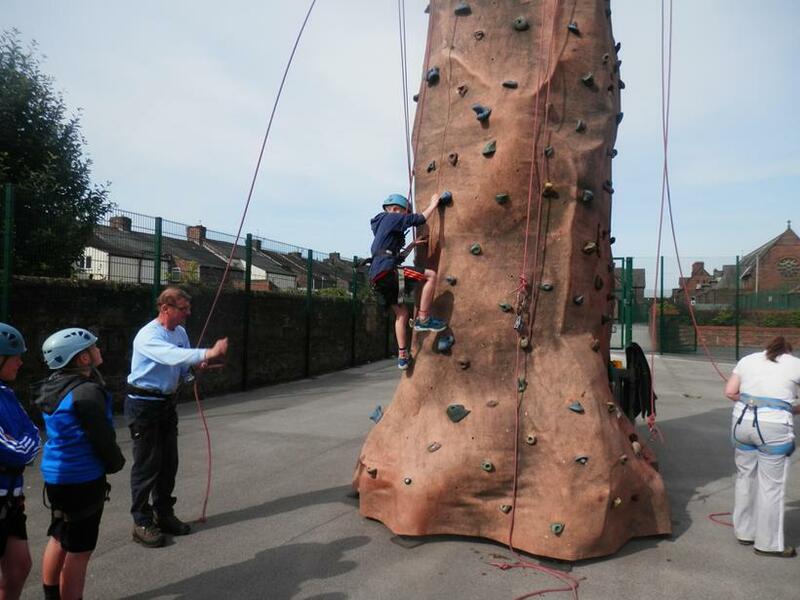 Our brave Year 6’s were presented with a 30 foot climbing wall, with three different levels of difficulty. 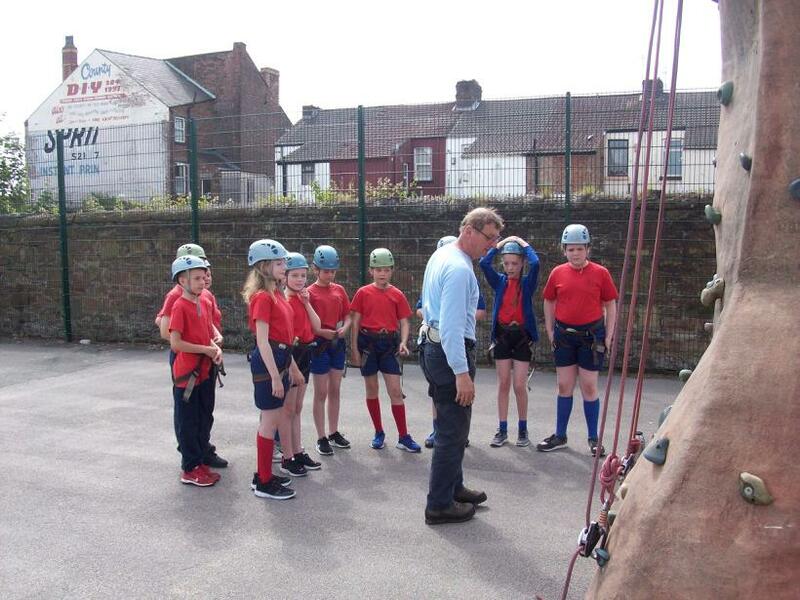 Once they had donned the helmets, tightened the climbing gear and had instruction – it was time to face THE WALL! 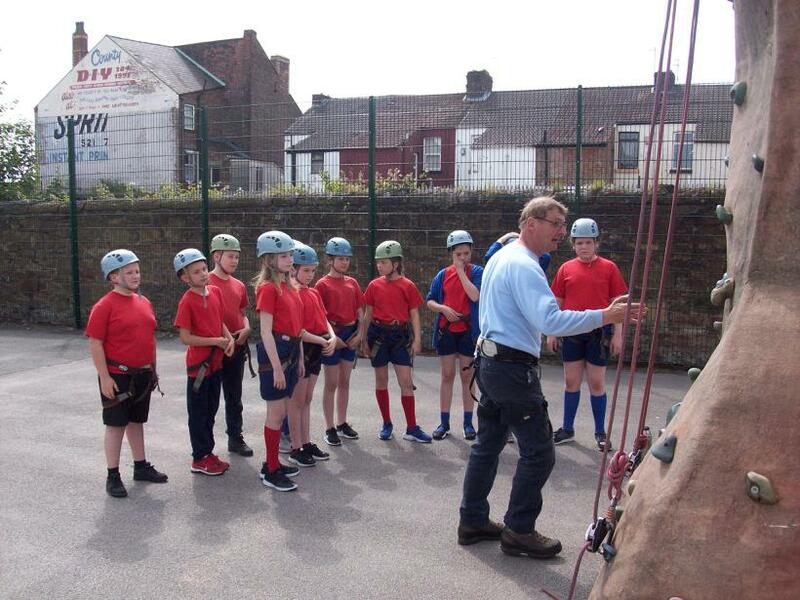 It was a real challenge to choose a pathway up to the top of the wall, but many of our pupils were able to conquer all three difficulty levels to the astonishment of the professional instructors! 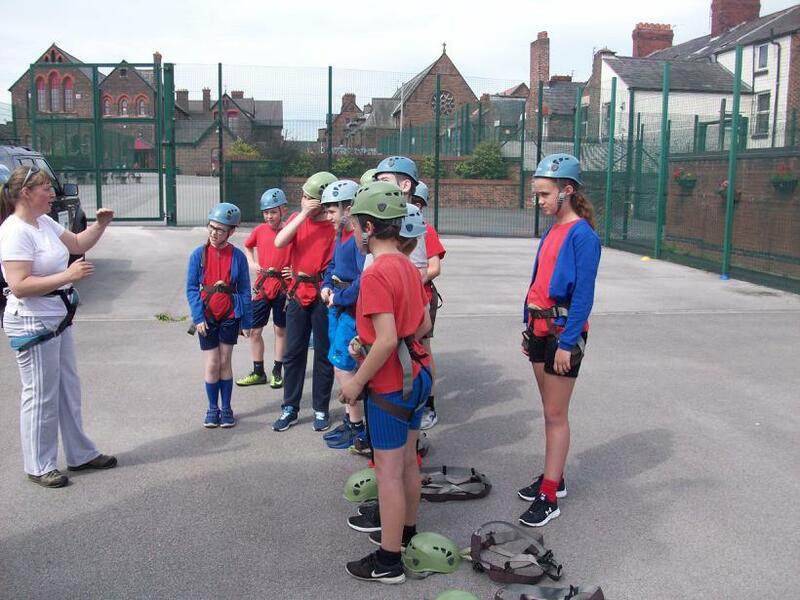 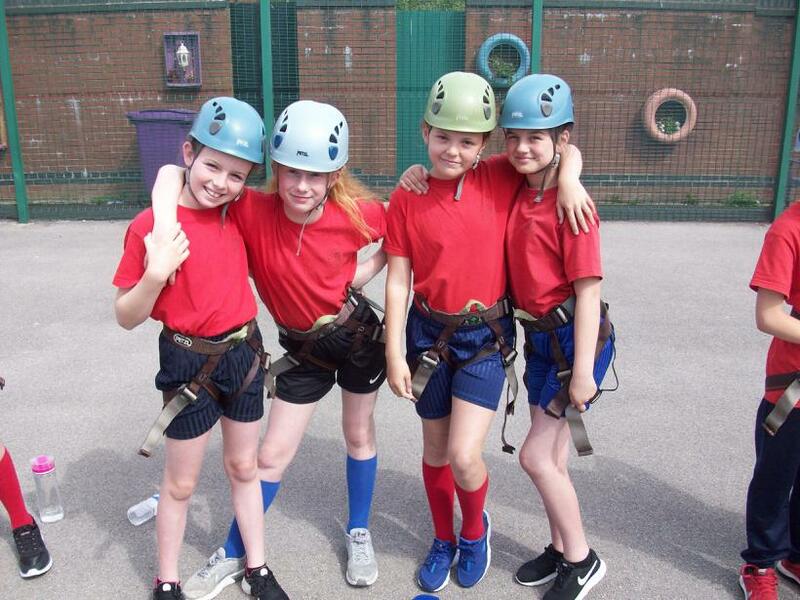 The experience really helped pupils with their physical co-ordination skills and it was fabulous to see the encouragement from other members of Year 6.